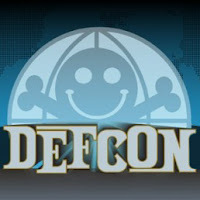 This is an excellent talk given by Schuyler Towne at Defcon 19 on how various security devices can be bypassed with mundane items. Also he speaks a bit on some of the history of these devices and what items you can use to make your own lock picks of which includes of all things a Popsicle Stick! The main point of all this is that if you know how your security devices can be comprised you can defend against those attacks or at the very least minimize the those risks. Also being informed how easily a device can be bypassed allows you to make better buying decisions when you do decide to purchase a security device. Also as Schuyler states, don't pick any lock that you or others rely on because locks can and do break. If you do decide to pick a lock only pick a lock that you own and one you don't rely on, unless of course you don't mind screwing yourself over. So check out the video, it runs about 42 min, and there is a little f-bombing in the beginning by the guy introducing Schuyler, but the rest of the video is ok to watch, after all Schuyler's Mom's will be watching this video. Hehe.